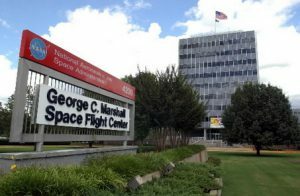 Mobile area companies have a chance to earn business from Marshall Space Flight Center and the subcontractors that serve the giant NASA complex in Alabama. Opportunities are significant, as the agency alone spent approximately $1.8 billion with direct and indirect contractors last year. The Mobile Area Chamber of Commerce will host a NASA Business Forum at the Arthur R. Outlaw Mobile Convention Center from 8 a.m.-3 p.m. on Wednesday, Nov. 4. The cost is $75 per person, including breakfast and lunch, and the event is open to all area and regional businesses. Among those featured at the forum will be senior procurement experts from four NASA service centers in Alabama, Florida and Mississippi, as well as representatives from major aerospace prime contractors. Marshall is a cornerstone of Alabama’s robust and growing aerospace sector. The Huntsville center designed and developed the Saturn V rocket that took man to the moon, and its experience and capabilities remain essential to nearly every facet of NASA’s mission. It is now leading development of the Space Launch System, a rocket that will power a voyage to Mars. Topics on the agenda include NASA’s acquisition process, upcoming business opportunities, best practices to win a direct contract or subcontract, and helpful marketing tools and advice. Following the presentation, attendees will also meet face-to-face with the representatives in a trade-show style forum. The forum is open to companies of all sizes and helps NASA reach out to small, disadvantaged, minority-owned, women-owned, disabled Veteran and Veteran-owned businesses, and those located in historically underutilized business zones. Reservations are required. Contact Brenda Rembert at 251-431-8607 to register or get more information.